If you are injured in a truck accident caused by a negligent truck driver, you want to find a way to hold the trucking company liable for compensating you because it will have more liability insurance coverage to pay you than the truck driver. One claim that you could have against the company is a negligent hiring claim if the truck driver was not qualified to drive a truck or the trucking company did not follow the correct procedures under Federal Motor Carrier Safety Administration (FMCSA) regulations for hiring him. In order to determine whether you have this type of claim and prove it, you will need to obtain documents from the trucking company. What were the trucking company’s hiring practices and policies? You will need a copy of the trucking company’s written policies on hiring and the trucker’s actual employment file. These documents can be used to prove that the trucker was not qualified or federal rules were not followed. What background check did the company run? The trucking company was required to conduct a criminal background check and obtain a copy of the trucker’s complete driving and crash record. By examining the truck driver’s hiring file, you should be able to determine if this was done. Did the trucking company contact the trucker’s employers? The trucking company should have contacted all of the driver’s employers for the last three years to determine his driving and crash record and whether he had a drug or alcohol problem. You may need to obtain the records of these prior employers as well as review the trucker’s file and the company’s policies to determine if this step was taken. Unfortunately, the trucking company’s records may not be accurate. What training did the trucker receive? 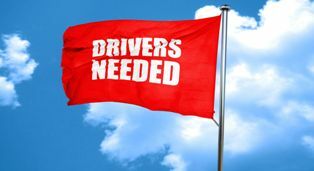 In order to answer this question, you would want to review the company’s policies, written training manuals, the trucker’s files, and any records of the employee or third parties involved in his training. Did the trucker take a pre-employment drug test? You will need to obtain the trucker’s drug test results—or discover the lack of them—to see if this rule was complied with. Did the trucker obtain his medical certification? A review of both the trucker’s employment file and his medical records will be necessary to determine if he received the proper medical certification saying he was medically fit to drive a truck. You will need the assistance of an experienced truck accident attorney to obtain this information because the trucking company will not provide it to you voluntarily. To learn how the Hart Law Firm can help contact us online or call our office directly at 817.380.4888 for your free consultation. We help injured victims throughout Texas including Arlington, North Richland, Grapevine, Bedford, Hurst, Euless, Irving and all points in between.